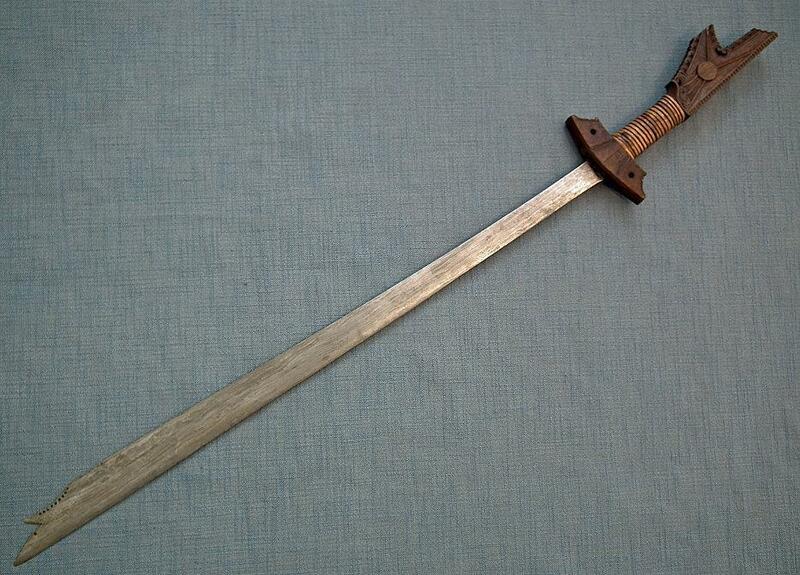 Antique 19th century Filipino Mindanao -Moro Islamic large Sword Kampilan. 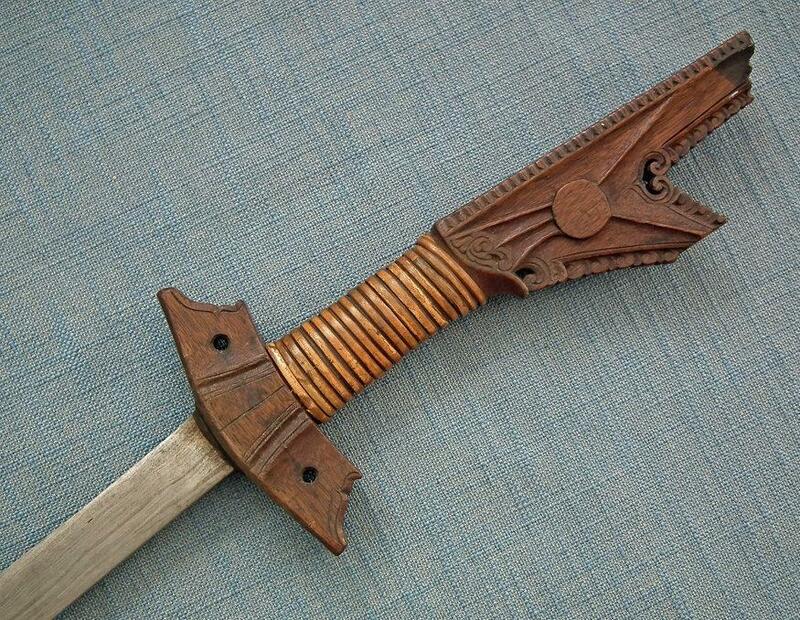 It comprises long and very sharp single-edged finely hand forged Damascus steel blade, with a visible watered pattern widening toward its tip elaborately shaped with terminal spikes and pierced with holes. 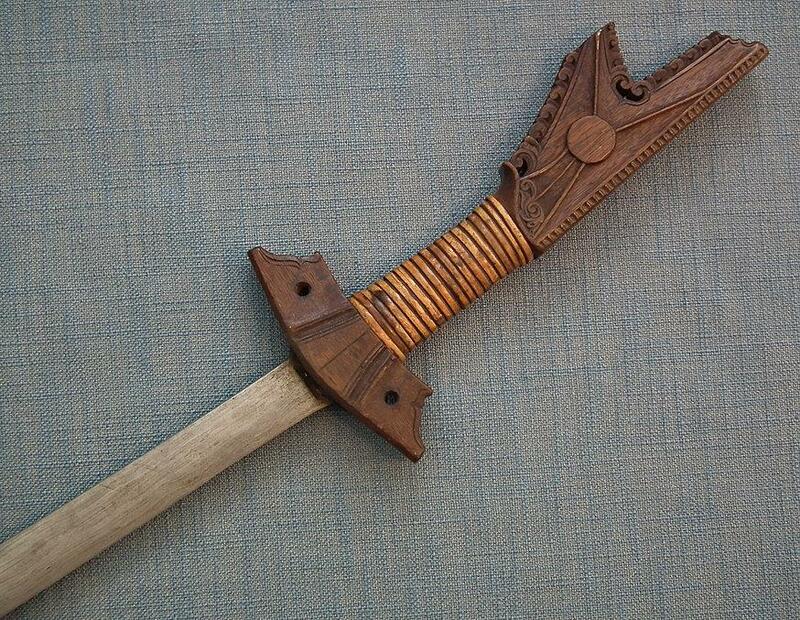 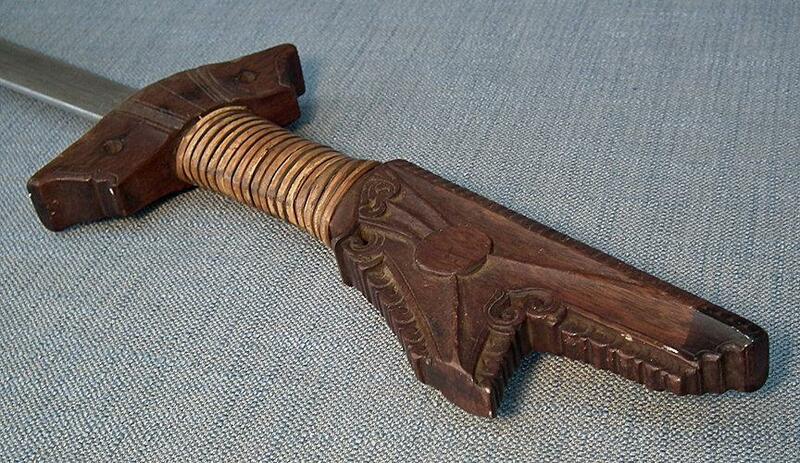 A hard wood hilt with a cross-guard and forked pommel in the form of the stylized open crocodile’s jaws carved with traditional Okir motifs the grip bound with rattan strips. 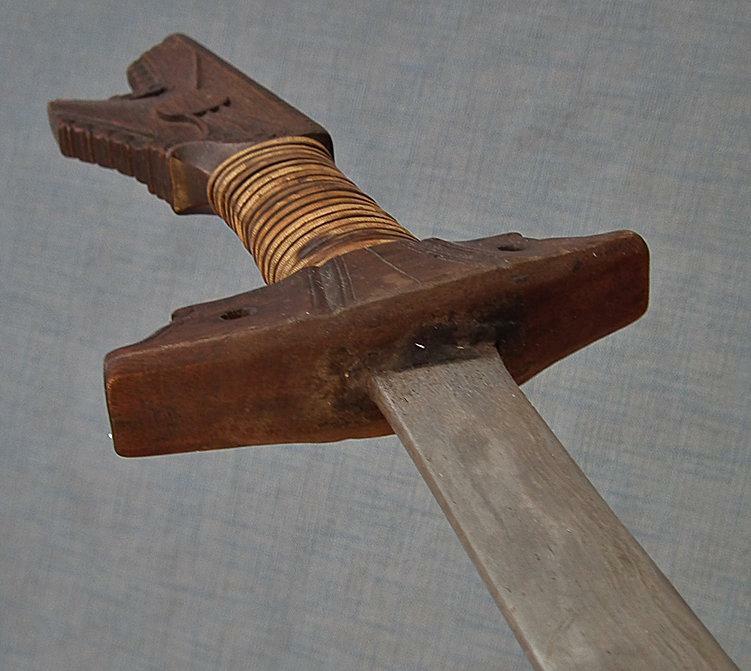 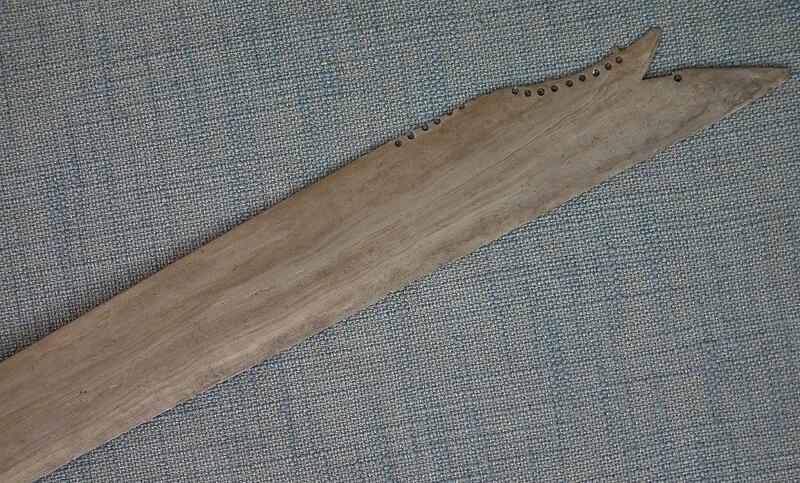 The kampilan is a weapon mostly used by the Muslim Maguindanao people on Mindanao island.